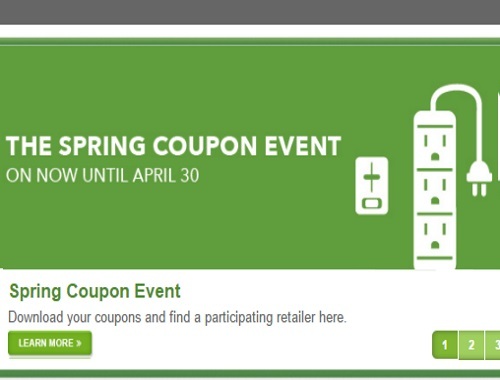 SaveOnEnergy has a Spring Coupon Event on now! Download coupons to save on your energy use! There are lots of coupons available at the link below to save on a wide range of energy-efficient products including LED bulbs, power bars with integrated timers or auto-shutoff and more.